Last night in the War Memorial Opera House, San Francisco Opera (SFO) presented the first of six performances of the fourth opera in its 2017–18 season. This was a new production of Jules Massenet’s Manon, shared with the Lithuanian National Opera and Ballet Theatre, which gave the premiere in Vilnius in September of 2015, and the Israeli Opera. Staging was by Vincent Boussard, and the conductor was Patrick Fournillier. This is the first time SFO has presented this opera since 1998. Those who saw the preview for this production may recall that Fournillier was identified as a specialist in Massenet’s music. This was evident from his vigorous approach to the orchestral introduction to the first act, and continued until the curtain descended on the fifth and final act. The precision and clarity of line that arose from Fournillier’s chemistry with the SFO Orchestra also found its way up on stage with his meticulous command of both vocalists and the SFO Chorus. I was once fortunate enough to sit in on a master class led by conductor Michel Singher, who explained how even the slightest detail was always important when Massenet was creating one of his scores; and Fournillier’s account of the score for Manon definitely warranted Singher’s claim. It is also important to recognize the extent to which Massenet was aware of the music of others, rather than merely keeping his nose in his own books. Manon was first performed at the Opéra-Comique in Paris on January 19, 1884. That would be a little over seven years after Richard Wagner’s Der Ring des Nibelungen (the ring of the Nibelung) was first performed in its entirety. It is not out of the question to assume that Massenet appreciated the significance of this event, an appreciation that likely led to examination of the scores, if not attendance at a performance. The attentive listener can appreciate when Massenet encountered a Wagner technique that he liked enough to rework for his own purposes, just as the young Wagner may very well have done with scores by the French composer Ferdinand Hérold (such as his opera Zampa) while working on his very early opera Das Liebesverbot (the ban on love). To listen to Massenet is to follow one of the many threads in the fabric of nineteenth century music, and Fournillier was just the right conductor to call attention to the beauty of that thread and the fabric in which it has been woven. Last night turned out to be one of those cases in which following the music provided greater satisfaction than following the action on stage. The libretto by Henri Meilhac and Philippe Gille was based on Manon Lescaut, the seventh and final volume of the series Mémoires et aventures d’un homme de qualité (memoirs and adventures of a man of quality), written by Antoine François Prévost, best known by his clerical title, Abbé Prévost. The novel dwells on how the “man of quality,” the Chevalier des Grieux, is tempted by the beautiful Manon Lescaut, descends into depravity, and recovers virtue after Manon’s tragic death in the Louisiana wilderness. As might be guessed, readers were more interested in the depravities than in the triumph of virtue when the book was published in 1731; and, when a new edition came out in 1753, Prévost tried to tone down the salacious material and remind the reader that the restoration of virtue was the point of the tale. Fun fact for background: One of Prévost’s admirers was Alexandre Dumas, fils. That admiration is evident in his novel The Lady of the Camellias. The novel was later turned into a play, during which the characters attend a performance of a ballet version of Manon Lescaut. These days the impact of Dumas’ work is best known through Giuseppe Verdi’s opera La Traviata. Boussard’s staging intentionally abstracted the setting away from any specific time or place. Even the set designed by Vincent Lemaire was minimal, consisting of little more than a wall at the back that provided a promenade for the performers to look down on the action taking place on the stage itself. 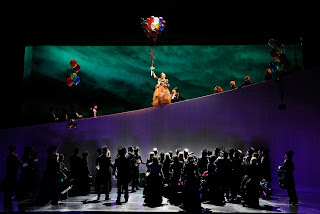 That promenade also allow Manon (soprano Ellie Dehn) to waft down to ground level supported by nothing other than a handful of balloons, one of the most delightful “special effects” to show up on the War Memorial stage this season. Before that time we have been subjected to the comic relief of two dirty old men, Guillot de Morfontaine (tenor Robert Brubaker) and Monsieur de Brétigny (baritone Timothy Mix), who always seem to be in the company of three “loose women,” Pousette (soprano Monica Dewey, making her SFO debut), Javotte (mezzo Laura Krumm), and Rosette (mezzo Renée Rapier). (Regarding the aforementioned “Wagner connection,” these ladies do some pretty impressive trio work and it is hard to think that any musical references to the Rhine maidens are merely coincidental!) This “Fantastic Five” comes close to serving as a Greek chorus as des Grieux’ story unfolds, even if their values are about as remote from Prévost’s as one can imagine. Given how much action Meilhac and Gille packed into the libretto, Boussard definitely deserves credit for keeping the action moving at a satisfying clip. Nevertheless, there are moments when it seems as if he is playing simply for the shock value. This was most evident at the end of the third act, when des Grieux abandons his plans to take holy orders and, instead, rips off his cassock to “roll in the hay” with Manon of the floor of the Saint-Sulpice chapel. 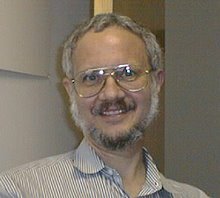 Boussard definitely scores points for shock value and makes it clear that he can outdo Prévost at the author’s own game and do so on the author’s own ground (so to speak). 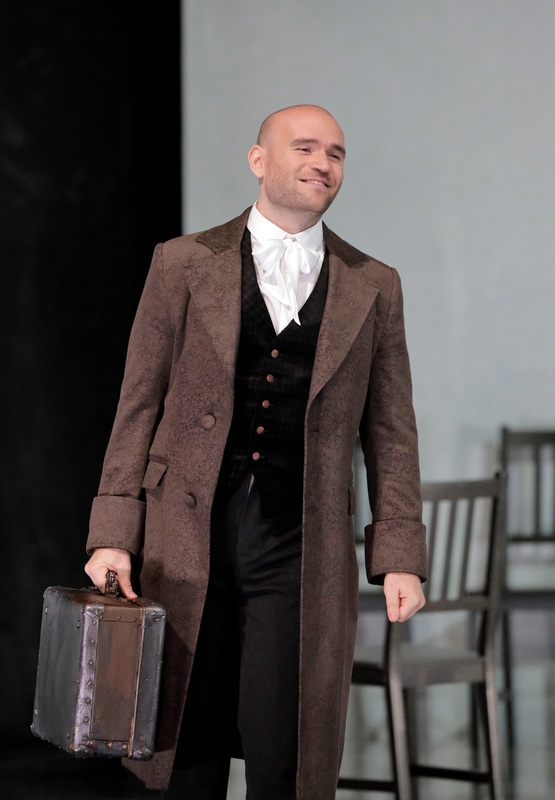 Nevertheless, there is too often a prevailing feeling of one-thing-after-another, which may be due as much to the libretto itself as to Boussard’s staging. Fortunately, Massenet’s creativity as a composer keeps pulling one delightful rabbit after another from his hat. Still, one should not be obliged to go to an opera house and sit with closed eyes for the sake of listening to excellent music that does not get enough attention elsewhere.